Cowboys coach Jason Garrett wasn’t ruling quarterback Tony Romo out of the regular season opener on Saturday and Sunday didn’t find him delivering a different message. 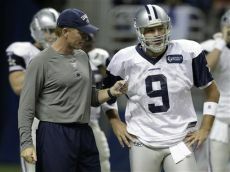 Garrett said that Romo is “going to start getting into rehab” that will include wearing a back brace to support the compression fracture in his back. That injury will reportedly keep Romo out for the next 6-10 weeks, but Garrett said that no one in the organization is setting a date for Romo’s return at this point in the process. Sunday is the first full day of practice for the Cowboys since Romo’s injury and Garrett said his message to the team is to “focus on doing our jobs” because adversity is an unavoidable part of the game. The Cowboys haven’t done a good job facing adversity caused by previous Romo injuries, but the hope this time is that Dak Prescott can keep the offense from falling off track without Romo. Most of the out-of-the-blue retirements happen before training camp, and involve guys who don’t have a job. But this one is from a guy who was actually employed. 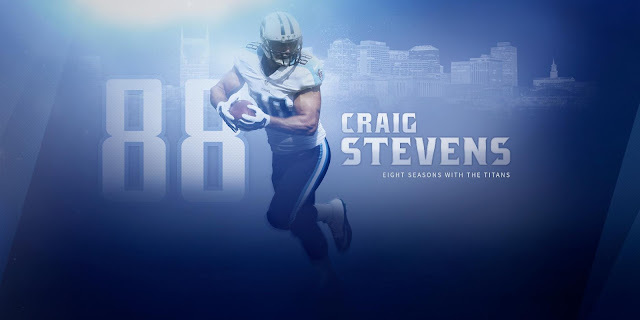 According to Alex Marvez of the Sporting News, Titans tight end Craig Stevens has decided to call it a career after eight seasons. A solid blocker throughout his stint in the league, Stevens was part of an aging depth chart for the Titans, with Delanie Walker and Anthony Fasano. He re-signed with Tennessee this offseason on a one-year deal. He started 11 games last year and had 12 catches. 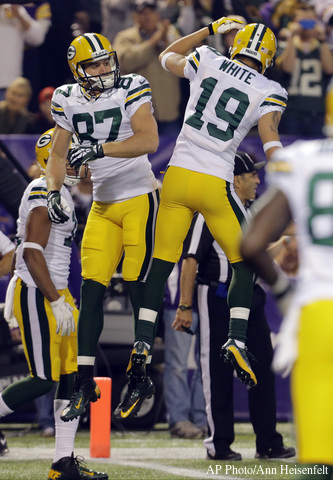 In his career, the former third-rounder caught 60 passes for 724 yards and six touchdowns. 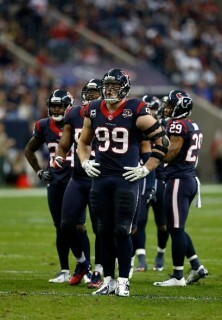 Texans defensive end J.J. Watt was careful not to put a specific date on when he’d return from back surgery. And it appears that date is going to be at some point after the beginning of the regular season. According to Ed Werder of ESPN, Texans coach Bill O’Brien was encouraged by the latest check on his star’s back, but was still unsure he was going to be able to play the first two regular season games. Watt has dealt with a number of injury issues in the past but has never missed a regular season game, but having back surgery a month ago makes this one a bit different than some of the others. Packers wide receiver Jordy Nelson passed his physical Wednesday and has been activated from the physically unable to perform list. Nelson, who missed all of last season after tearing his right ACL in a preseason game, felt some discomfort in his knee while preparing for training camp and was placed on PUP. The Packers are expected to still limit Nelson’s on-field activity over the next few weeks, but his activation clears the way for Nelson to be ready to play in the Sept. 11 season opener. Nelson insisted this new injury was minor and wouldn’t slow him for long. The Packers offense wasn’t the same without Nelson last year, and eventually getting him back to full strength will be a big boost for Aaron Rodgers and Company. 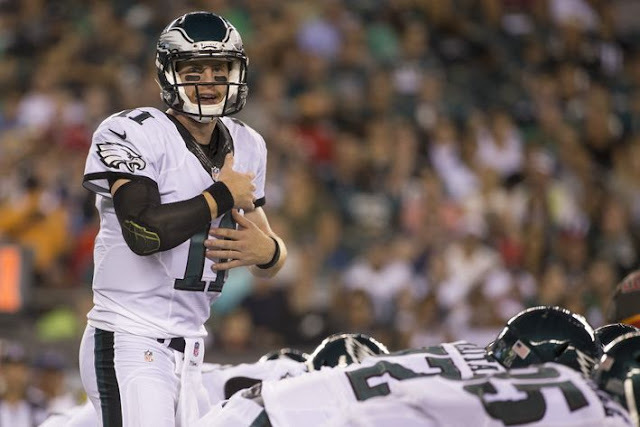 Eagles quarterback Carson Wentz will miss some time with an injury suffered in the preseason opener. The Eagles have announced that Wentz suffered a hairline fracture in his ribs on Thursday night against the Buccaneers, although the statement from the team indicates that he could be back in as little as a couple of weeks. The Eagles were hoping to use the preseason to get Wentz some live game experience, something he is not expected to get much of during the regular season. With Sam Bradford slated to start and Chase Daniel backing him up, Wentz may be inactive on Sundays in the fall. 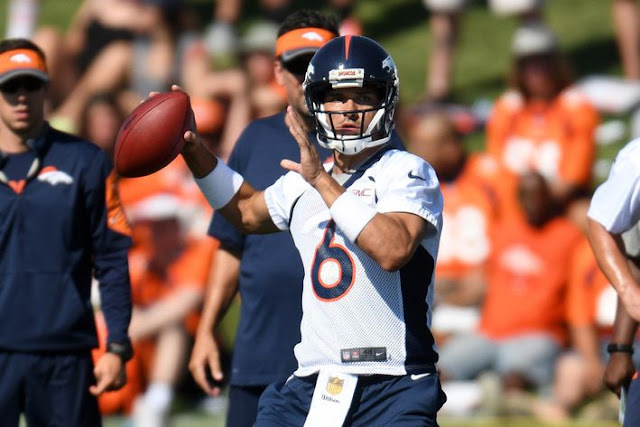 The Broncos play their first preseason game of the year in Chicago next Thursday and that will give the team a chance to see the players competing for the starting quarterback spot in game action for the first time. The first preseason game is often a forgettable affair as first-stringers play sparingly, but it looks like it will be a more meaningful game for the Broncos. On Thursday, coach Gary Kubiak said that the results of that game will be a big factor when he makes his choice between Mark Sanchez, Trevor Siemian and Paxton Lynch. Kubiak said it has been “very, very competitive” between the players during practices and Klis’ take is that things have gotten “muddier” over the course of camp because each day finds a different quarterback playing well. Next week’s game will provide a different data point to consider that could nudge Kubiak in the direction of Week One’s starter. 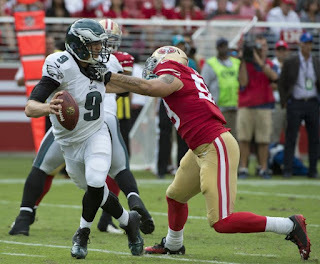 The Chiefs are interested in signing free agent quarterback Nick Foles, ESPN’s Adam Schefter reported Wednesday night. That news is timely and interesting, yet not surprising. The Rams cut Foles before camp, and the Cowboys losing backup quarterback Kellen Moore to injury means they have an immediate need for an experienced quarterback. That helps Foles’ bargaining position, with the Cowboys and with other potential suitors. Though Schefter’s report is the first real link between Foles and the Chiefs, there probably would have been red flags had the Chiefs not shown some level of interest in Foles. Foles was a third-round pick of the Eagles in 2012 and started six games that year, Chiefs coach Andy Reid’s last season with the Eagles. Behind starter Alex Smith the Chiefs have Aaron Murray, a third-year player who’s never played in a regular season game, rookie Kevin Hogan, and Tyler Bray, a former undrafted free agent who’s also never played in a game. Foles, 27, probably figured he wouldn’t be unemployed for long even though the Rams couldn’t find a trade partner. He went to the Pro Bowl in 2013 with the Eagles before being traded before the 2015 season and having a disastrous season with the Rams last year. For his career, Foles is a 60-percent passer with 53 touchdown passes vs. 27 interceptions, thanks mostly to his 27-to-2 touchdown-to-interception ratio in 2013. Teams will use the early days of training camp to take a look at the kids they’ve collected. But as time wears on, some of them will realize they need to find some experience. That could be the case in Washington, as coach Jay Gruden admitted they could be in the market for a veteran runner at some point, as they don’t have many proven commodities behind Matt Jones. 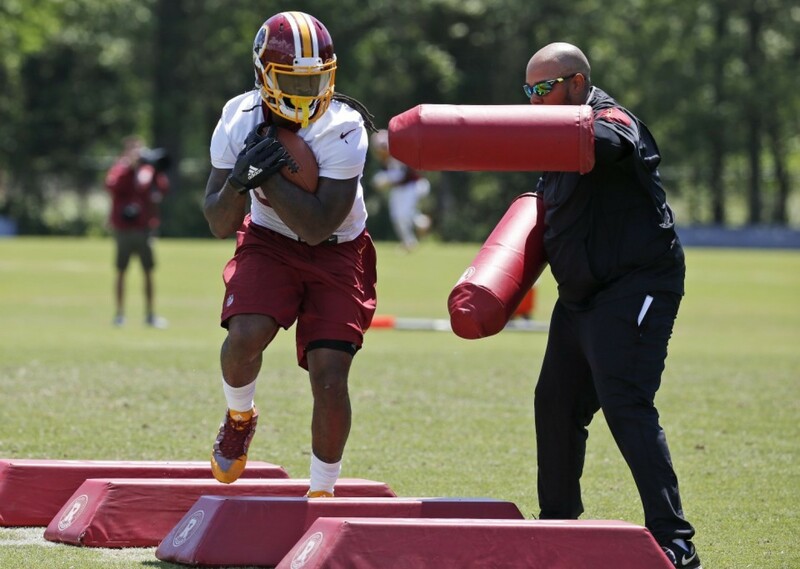 While you look up that list of names — and recall that Jones is coming off hip surgery and a year of fumbling problems — it’s worth pointing out that they let Alfred Morris walk this offseason and didn’t do anything to backfill there. Once Arian Foster signed with the Dolphins, the market thinned quickly, with guys such as Bernard Pierce finding jobs. If one of Gruden’s young backs doesn’t emerge during camp, they could be left to pick through the scraps later, as teams begin making cuts.